What’s it like living on a boat? 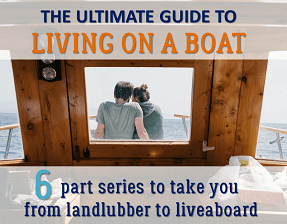 You may have spent hours online, researching everything from what it costs to live on a boat to the perfect stackable space-saving cookware, but nothing will give you a better idea of the liveaboard lifestyle, than actually living on a boat! Because divesting yourself of your worldy posessions and cramming your life into a 200 sqft space, is a huge decision, we recommend that you try before you buy. Below we’ve listed 5 ways you can test-drive the liveaboard lifestyle, but before jumping into that, we’ll quickly cover what you should be looking for in a test-drive boat. Similar in size/style to what you’ll be living in. Living on a 50 ft trawler will be very different from living on a 30 ft sailboat. If you know what type of boat you want and the length you can afford, try to find a test-drive boat that is similar. Note: that power boats and catamarans afford more living space than an equivalent length monohull sailboat. In a similar location. 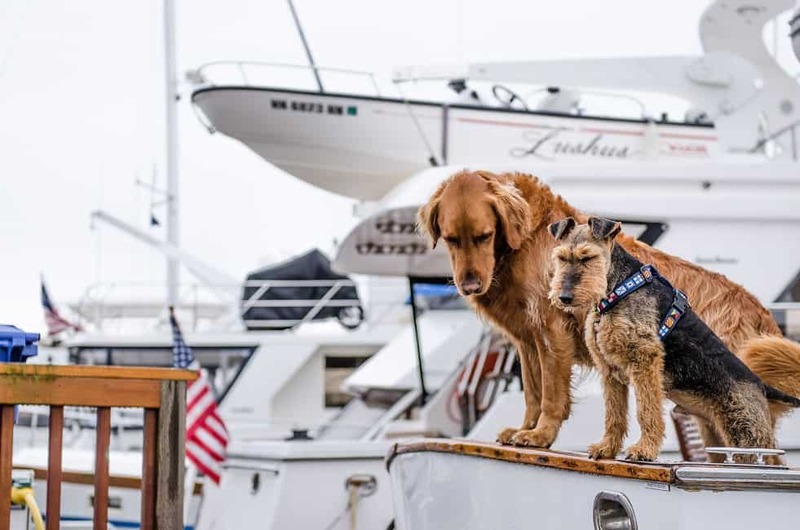 Living at the marina is VERY different experience than living at anchor (read more about the differences of marina vs. anchorage living). Try to find a boat that is set-up similarly to where you hope to live. If you’re hoping to get into a particular marina, try to find a boat there. Get to know your potential neighbors and you may get the inside track on a liveaboard slip. Available in the sucky season. Whether it gets too hot or too cold where you live, you’ll want to test-drive living on a boat when the weather is least enjoyable. There’s plenty you can do to make things more comfortable in the winter (defhumidifiers, heaters) or summer (AC) but you’ll want to get an idea of what you’re up against. If you search Boatsetter you’ll find plenty of options for sleep aboard boat rentals. If you live in a smaller city you may have to travel to a larger city to find boat accommodation. You can even hire a captain to take you out sailing for an additional charge. Chartering a boat is an awesome way to travel but it’s also an opportunity to test-drive living on a boat. 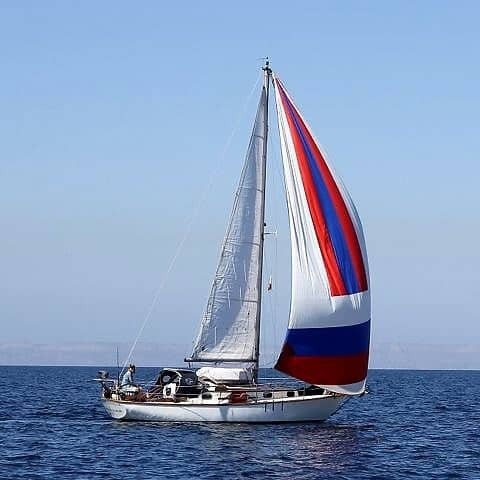 If you look in the right places, you can find cheap charters and get the experience of sailing and living aboard. The downsides to this option are that you will likely be breaking from your daily routine, unless your daily life includes sipping rum and chilling out in the Caribbean sunshine! Keep in mind that you may need to have certain courses to qualify for a charter (check with your charter company). If you already own a boat with a cabin (even if it’s not your ideal liveaboard vessel), take out a transient slip at your local marina and move aboard for a month. It may feel a bit like camping but at least it will give you an idea of the lifestyle, and more importantly what to look for in a liveaboard boat. Don’t own a boat? 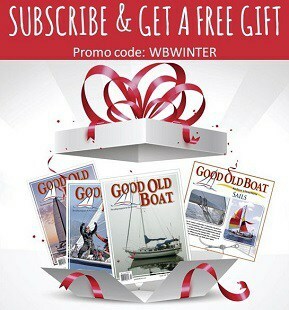 Ask around to see if you have friends or family who own a boat and would be willing to let you liveaboard for a weekend. You’ll want to demonstrate some working knowledge of boats (or at least a willingness to learn) and show that you take safety seriously. A boat owner’s biggest concern about lending out their boats is that you’ll hurt yourself or damage their property. You may be able to allay some of those fears by telling them that you wouldn’t take the boat off the dock. Also, many marina’s don’t allow people to liveaboard so a weekend may be the most you can pull off without drawing attention to your sneakaboard status. However you decide to go about it, test-driving the liveaboard life before you commit and buy a boat, is a smart way to learn what it’s like living on a boat and if it fits your lifestyle. So find a test-drive boat using one of the options above and and go about your daily life: go to work, walk the dog, pick-up groceries, enjoy a sun-downer in the cockpit and soak up all the benefits of liveaboard life. 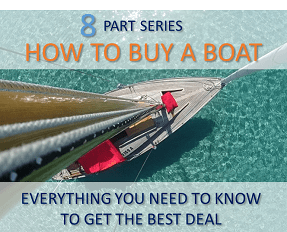 Want to know what it's like living on a boat but not ready to take the plunge? Here are 5 ways you can try out the liveaboard lifestyle risk free and find out if it's right for you.